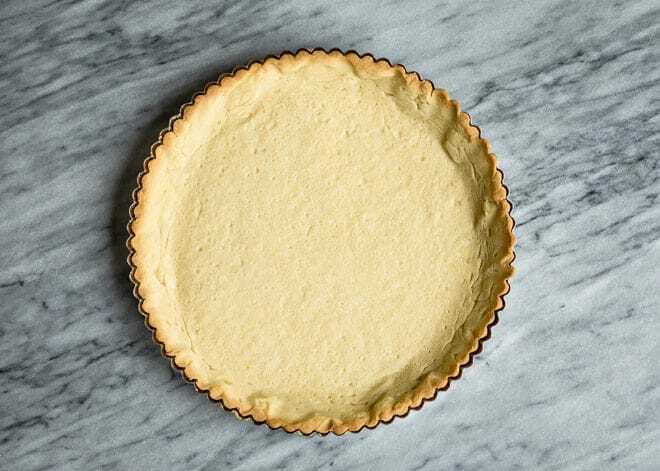 Learn how to make tart crust that is buttery, crisp, and lightly sweet – neither too thick nor thin. Because the filling-to-crust ratio is narrower than that of pie, it’s important to make sure the crust is as delicious as the filling. This is a guide for visual learners. The full recipe is below. 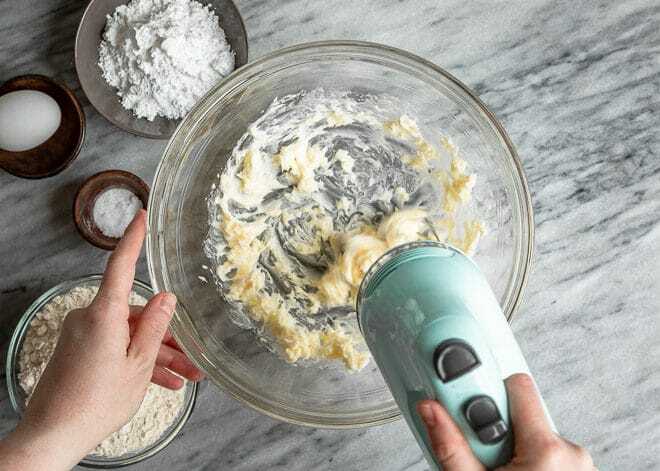 Also, this method uses an electric mixer but I also have instructions for making the tart dough by hand, with a pastry cutter. Cream the butter and sugar together on medium-high speed until pale and fluffy. Blend in flour and baking powder on low speed. 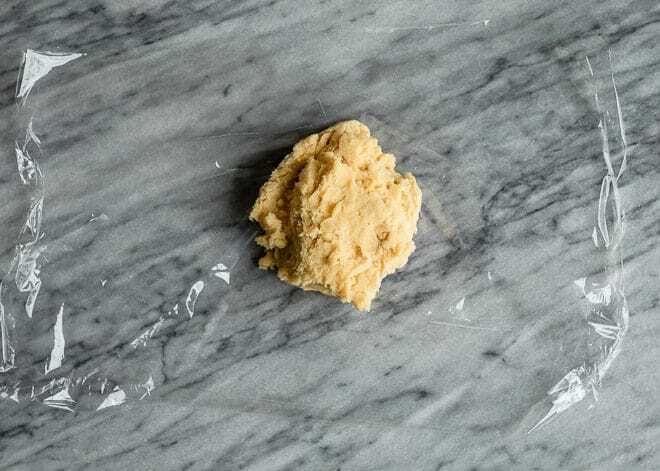 Roll out dough to a thickness of 1/8-inch to 1/4-inch. 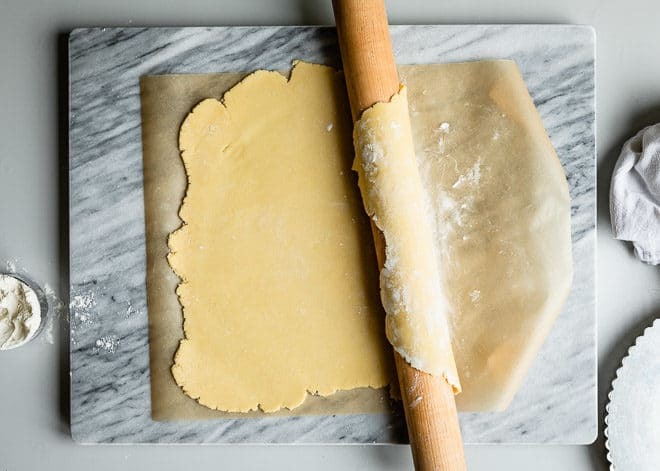 Loosely roll the dough around the rolling pin, then gently unroll it over the tart pan. Press the dough firmly into the bottom of the pan and up the sides. 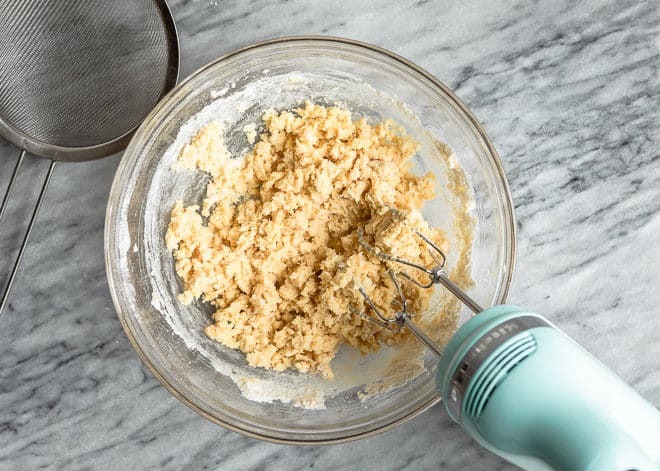 Trim any excess dough. Cover the dough with parchment paper or foil. Fill with pie weights or dried beans and bake 12 minutes. Remove pie weights (affiliate link) or beans and parchment paper or foil. Return to oven and bake until golden brown and fully cooked, about 10 to 15 minutes longer. Cool completely. 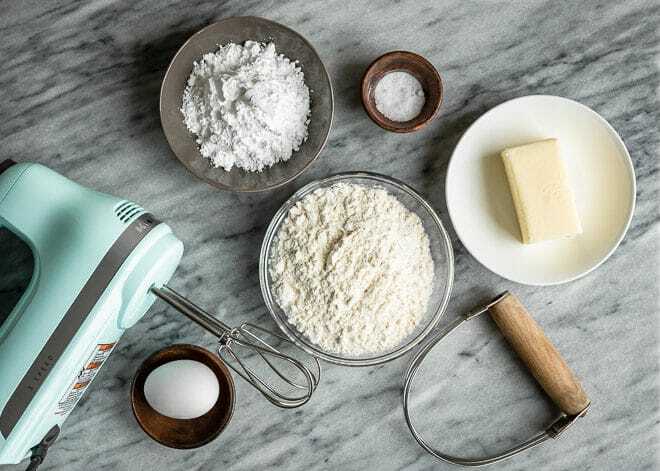 If you don’t have an electric mixer, you can mix the tart dough by hand using a pastry cutter or two forks. 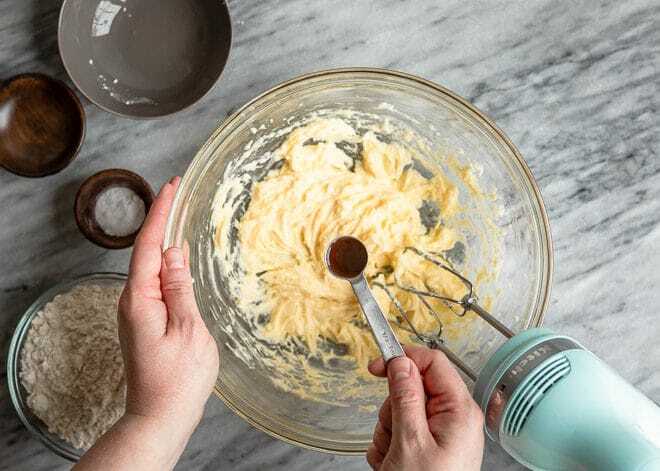 Cream the butter and sugar together with a pastry cutter or two forks until coarse crumbs form. Add egg and continue mixing until combined, scraping down the bowl as necessary. Add vanilla and salt, mix until combined. Blend in flour and baking powder. 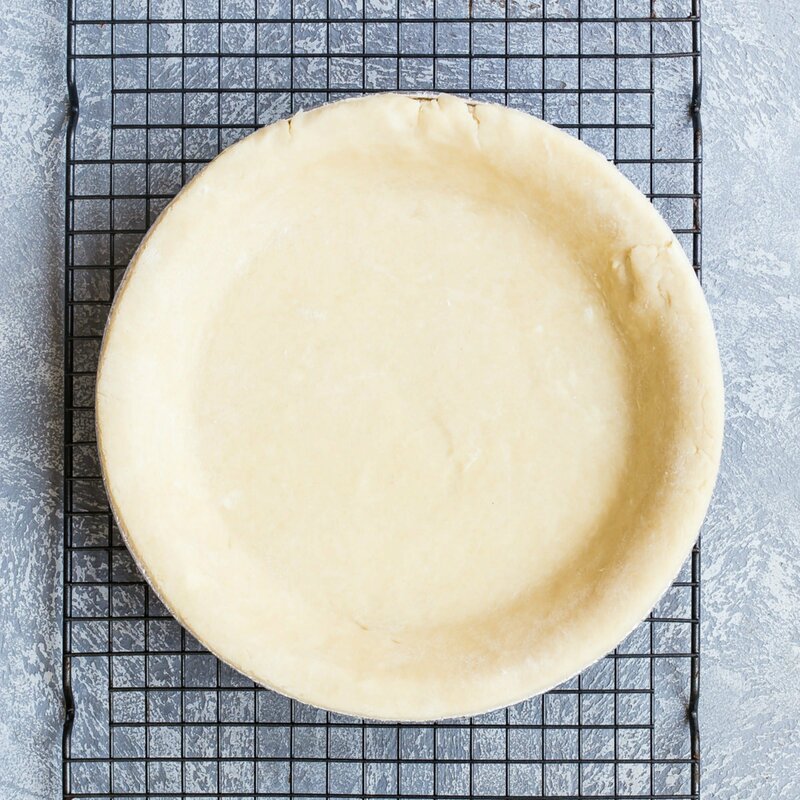 How do you transfer dough to a pie plate or tart pan? I learned this little trick in culinary school. 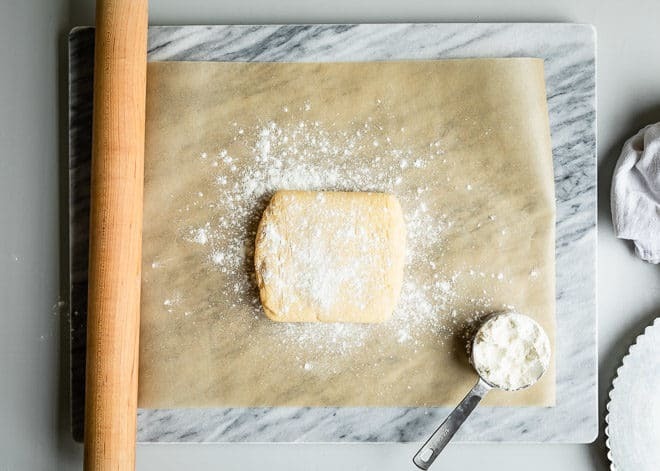 Loosely roll your dough around a rolling pin. 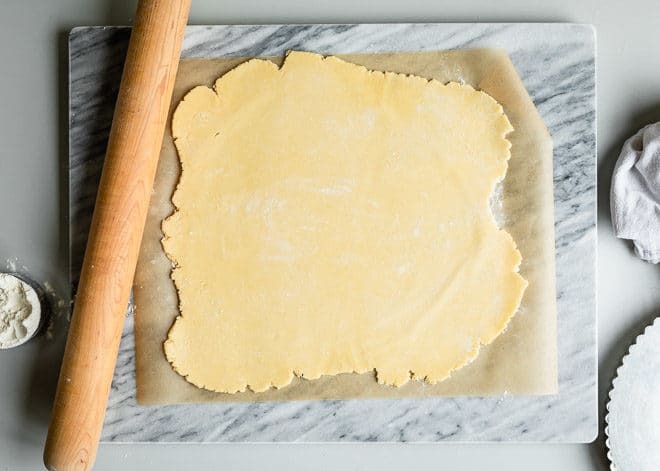 Then, gently unroll it from the rolling pin over the tart pan or pie plate. 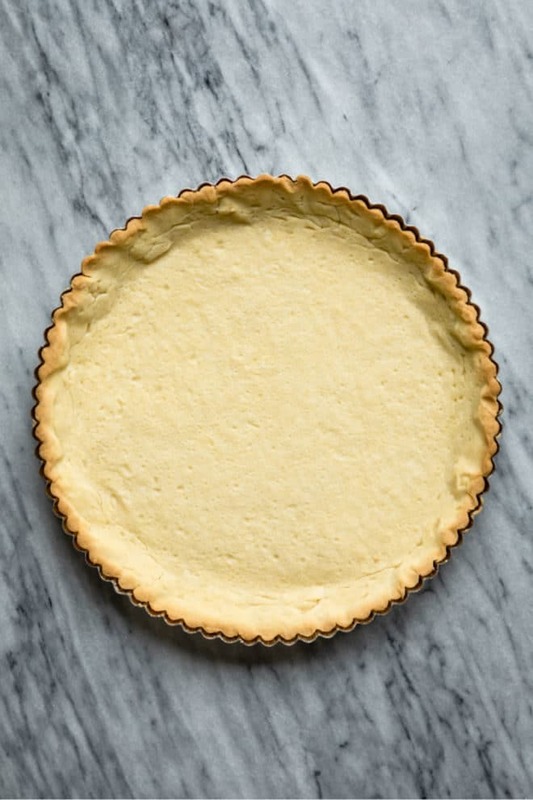 What is the difference between pie crust and tart crust? 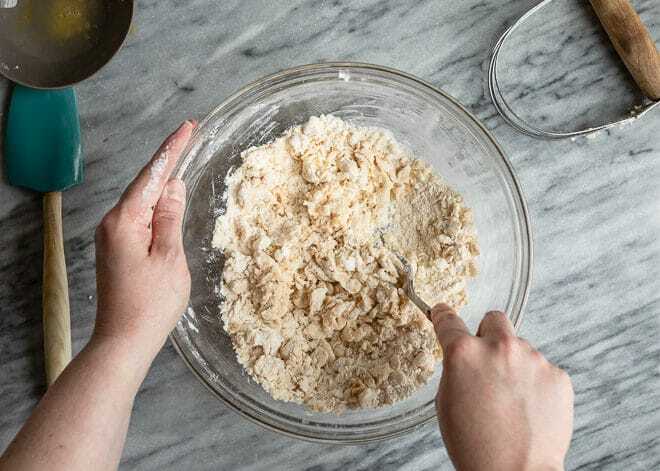 While regular pie crust is tender and flaky (made with twice the fat of tart crust), classic tart crust has a fine crumb and is buttery, crispy, and crumbly (similar to shortbread). In both crusts, butter provides most of the flavor. 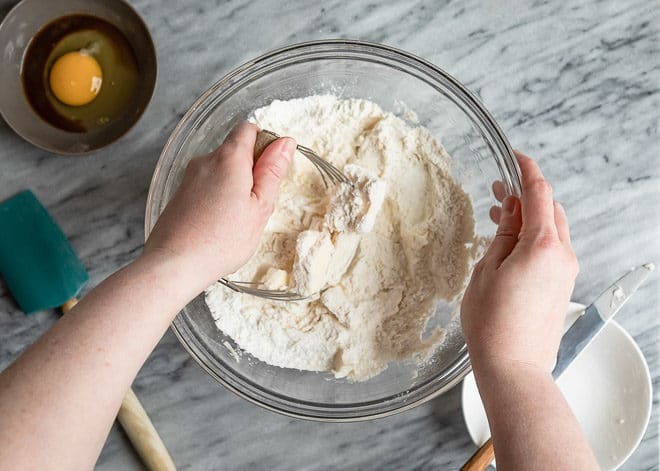 Pie dough is also sturdier than tart dough; pie dough can stretch a bit, but tart crust is far more tender and requires gentle handling. 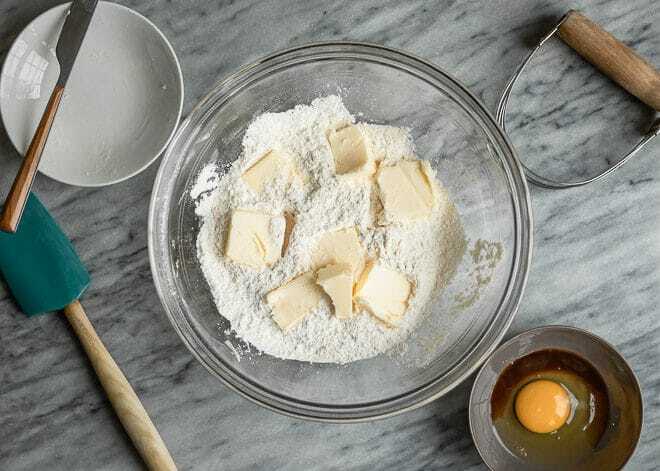 However, tart dough can easily be patched and squished back together if it does crack or crumble. 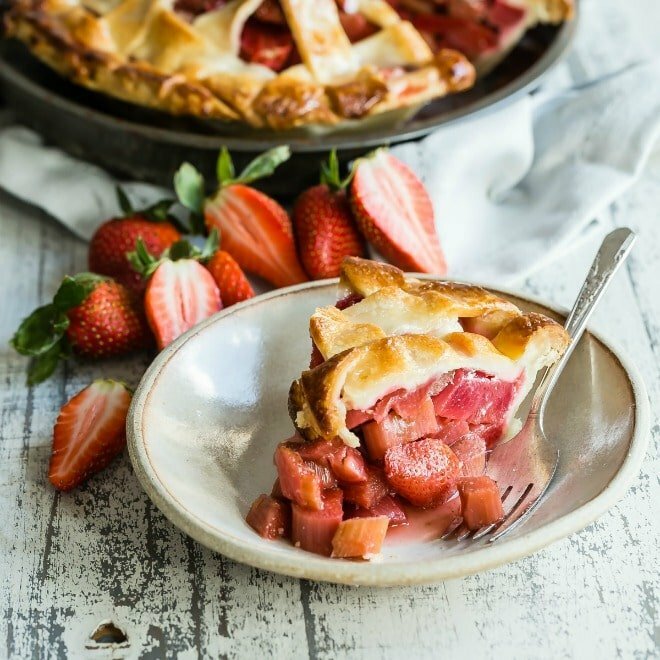 Can you bake a tart in a pie plate? 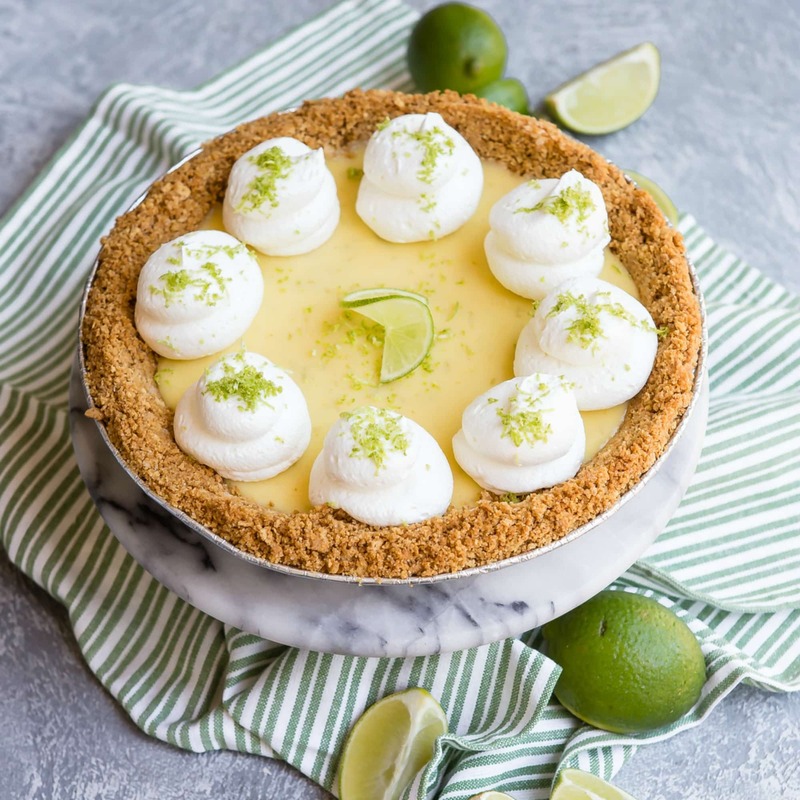 If you don’t have a tart pan, you can use a pie plate. However, you may have to adjust the amount of filling and baking time. The reverse is not necessarily true, though. 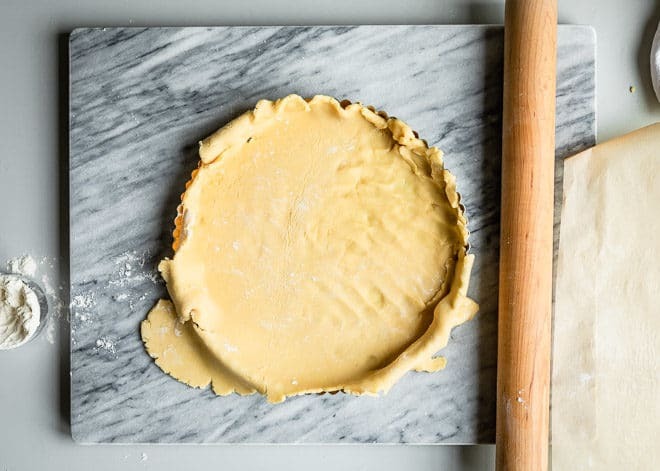 While technically a pie dough can be baked in a tart pan, it will most likely rise and puff up leaving little space for the filling. Can you freeze tart dough? Tart dough freezes very well; here are some options. 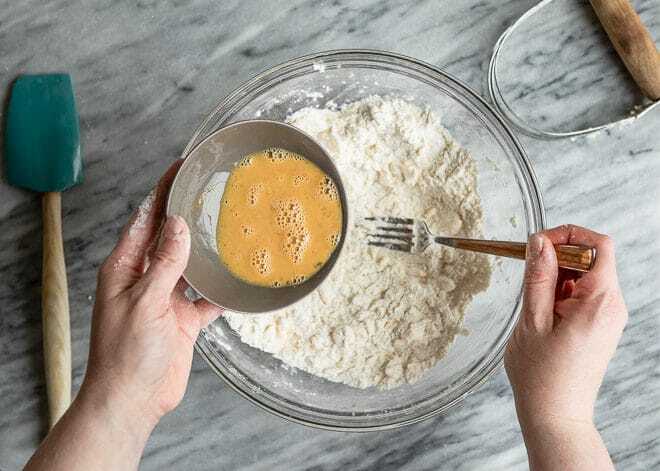 For long-term storage: Flatten the dough into a disk and wrapped well with plastic wrap followed by aluminum foil, or placed in a freezer-safe container (avoid freezer burn and freezer flavors with the extra wrapping). 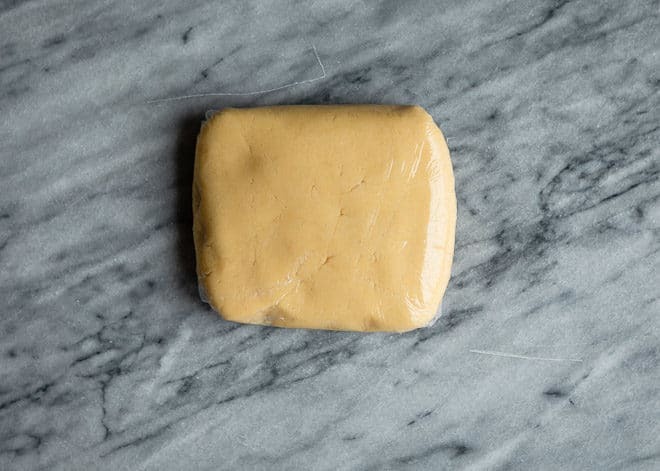 For short-term storage: Roll the dough out into a thin round and freeze it it. The dough should still be wrapped well in plastic, then foil. The downside of this method is that it needs a large flat area within the freezer, and runs the risk of being broken. However if it breaks, you’ll be able to easily patch it back together when thawed. 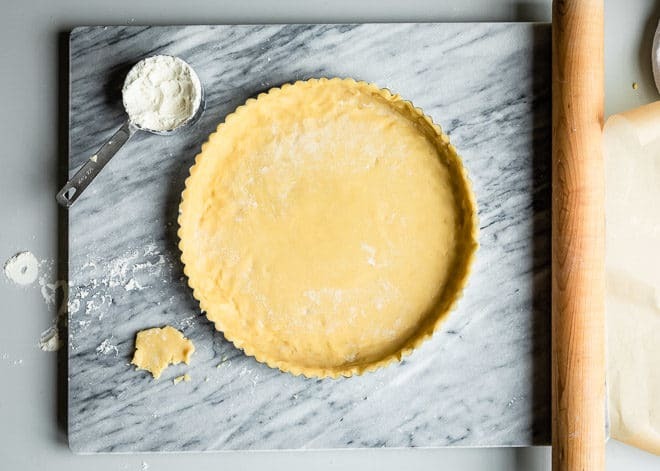 If you have a tart pan to spare: Roll out the tart dough, chill it, then press it into the tart pan and freeze. 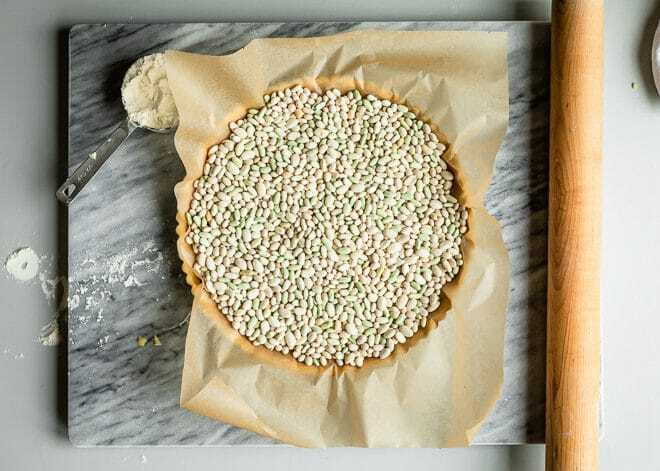 Prick the tart dough all over with a fork, press plastic wrap, waxed or parchment paper against the surface of the tart dough, then securely wrap with plastic wrap, and aluminum foil for up to 1-2 weeks. 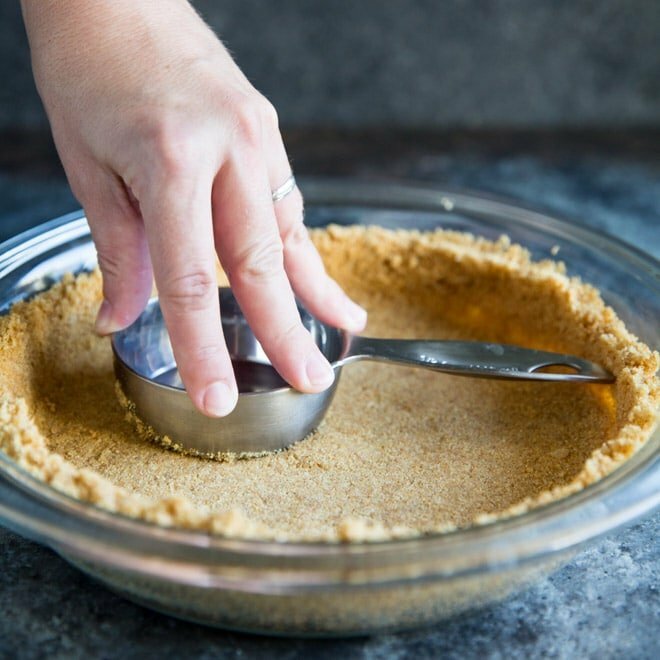 With this method, the tart crust can be baked right from the freezer and pie weights don’t even need to be used. Tart pastry is the same thing as tart crust. 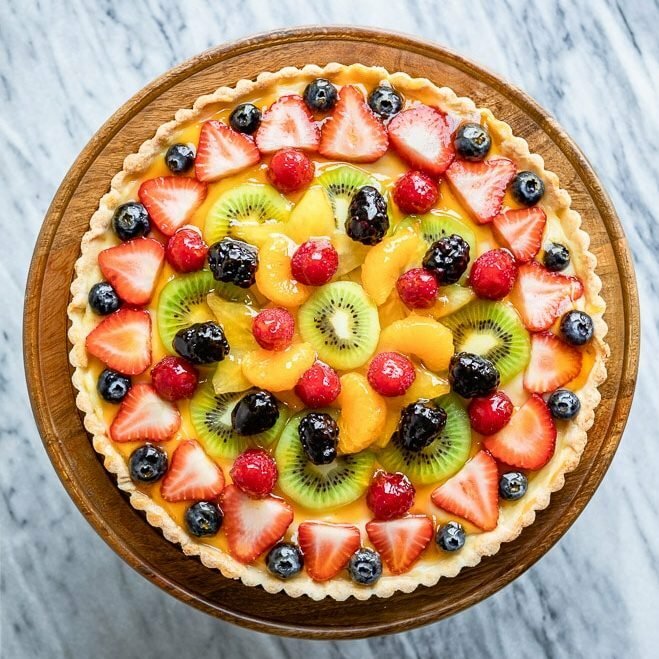 “Pastry” is a term used to signify that the dough will be used to create the crust of a tart. 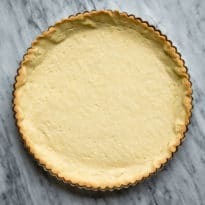 Learn how to make tart crust that is buttery, crisp, and lightly sweet - neither too thick nor thin. Because the filling-to-crust ratio is narrower than that of pie, it's important to make sure the crust is as delicious as the filling.